CRDC is pleased to announce two awards were presented at its Annual Meeting of Board Members and invited guests held on November 7, at the Audubon Society, in Concord. The first award recognized Centrix Bank as CRDC’s Bank of the Year. The award according to CRDC Executive Director, Stephen Heavener is based on the highest dollar volume of loans referred to CRDC in the fiscal year ending September 30.“Our lenders worked collaboratively with Centrix’s lenders to close three SBA 504 loans totaling more than $1 million last fiscal year,” says Heavener. “This award recognizes Centrix Bank for its dedication and commitment to CRDC’s mission to facilitate economic development throughout the state.” “CRDC has been a true partner to our commercial lending team,” said Joe Reilly, President/CEO Centrix Bank. “CRDC provides alternative products to our business customers and provides the gap funding that is sometimes needed plus they provide outstanding, timely services.”“CRDC is a non-profit that relies heavily on our relationships within the banking industry to achieve our mission,” says Heavener. In addition to Centrix Bank, CRDC worked with 15 other banks last fiscal year according to Heavener and include; Bank of NH, Citizens Bank, Claremont Savings Bank, First Colebrook Bank, Franklin Savings Bank, Lake Sunapee Bank, Ledyard Bank, Mascoma Savings Bank, Merrimack County Savings Bank, Northway Bank, People’s United Bank, Savings Bank of Walpole, St. Mary’s Bank, TD Bank and Woodsville Guaranty. 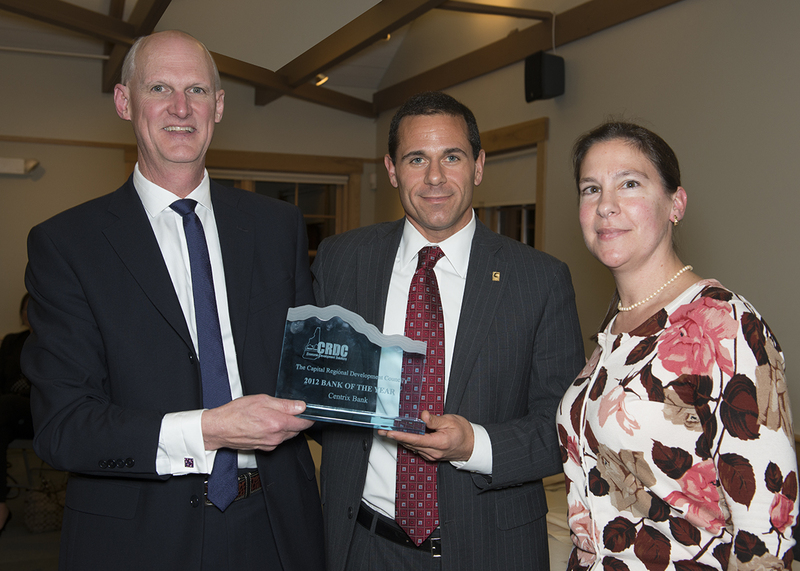 Stephen Heavener, Executive Director of CRDC (left) and CRDC’s President of the Board of Directors, Christine Fillmore present Brian Lavoie of Centrix Bank with the 2012 Bank of the Year Award. 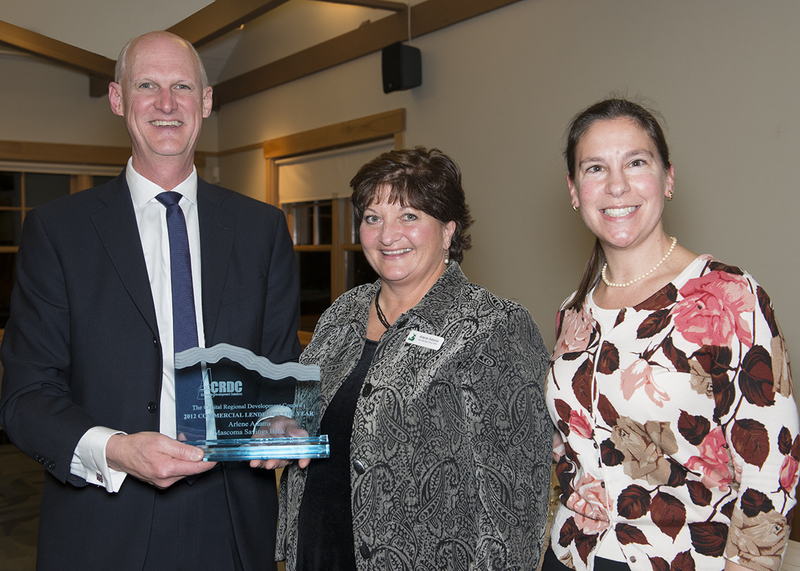 Caption: Stephen Heavener, Executive Director of CRDC (left) and CRDC’s President of the Board of Directors, Christine Fillmore present Arlene Adams of Mascoma Savings Bank with the 2012 Commercial Lender of the Year Award.